Some people are remembered for the melodious voice. Some are remembered for their contribution to Indian history. Some are remembered for their fantastic acting skills or social service. Pratima Barua Pandey is one name, who is remembered for her mesmerizing voice. The Assamese folk singer won many hearts with her strong voice and people consider her as the pride of their state. 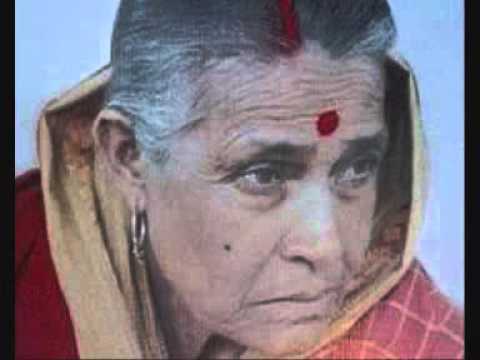 It was her, who popularized Goalpariya folk sangeet. She still has many fans and we are sure that you would want to know more about her life. What was she like? Which are her most famous songs? Where was she born? We shall cover all that and more in this article. Read on to find out. Pratima Barua Pandey was born in a royal family in Gauripur, Dhubri. Her uncle was the famous Pramathesh Barua, who made the original Devdas. She completed her schooling from Kolkatta. After she returned to Assam, she joined Gauripur Girl’s High School. She married Gauri Shankar Pandey. He was a retired school principal. The time she spent in Kolkata, she learnt Rabindra sangeet. Pratima did not take formal training in music but her father always encouraged her to sing. She was a shy girl and never thought of singing in front of people. Pratima Barua Pandey was at a social event in Gauripur when Dr. Bhupen Hazarika noticed her and he said that she would go a long way. He also mentioned that Pratima would take Goalpariya lok sangeet to new heights. He was not wrong because when he made a movie named Era Bator Sur, he introduced Goalpariya lok songs in it. The singer was none other than Pratima Barua Pandey. Pratima did not stop after that. She continued giving evergreen hits. Here are some songs that are evergreen classics and Pratima Barua has given her melodious voice for it. She is a Padma Shri and Sangeet Natak Akademi Award winner. She is known for her ‘Hastir Kanya’ song. Do you know that a biopic was made on Pratima? Sunar Boron Pakhi is a movie which is made with love and it is based on her real life story. The movie consists of three stages of her life. Pranami Barua and Sushmita Roy are playing the role of Pratima Barua Pandey. The film released in the year 2016 in the month of December. For those, who wish to know more about the famous singer, they can watch the movie as it is a well-made movie. She was a famous folk singer and her songs still rule several hearts. People still remember her for her melodious voice. Born in Calcutta on 3rd October, she was the lady, who made the Goalpariya lok sangeet famous in the nation. She will be remembered forever for her soulful voice and dazzling smile.